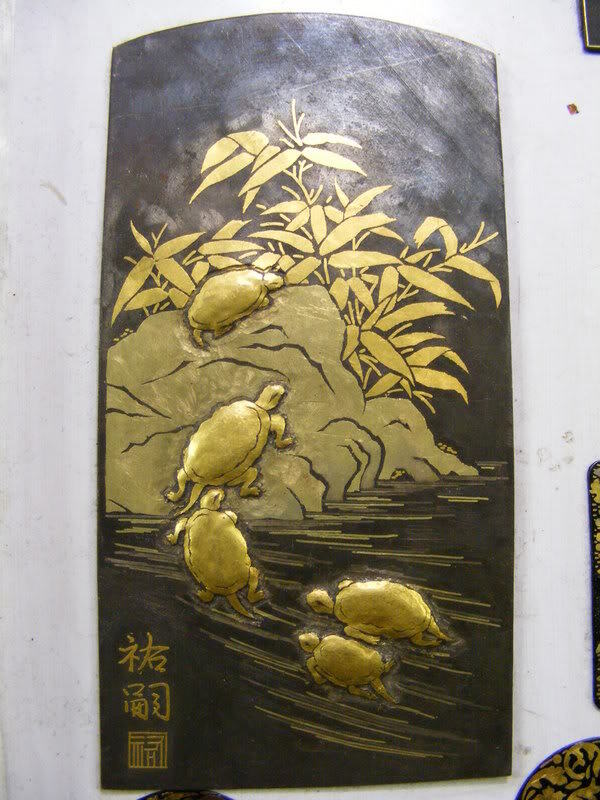 I was visiting my engraving colleagues in Kyoto, and thought you might like to see what they are doing. Barry, thanks for posting the photos. Do you have any information about the shop/workshop? Like shop's name or location? 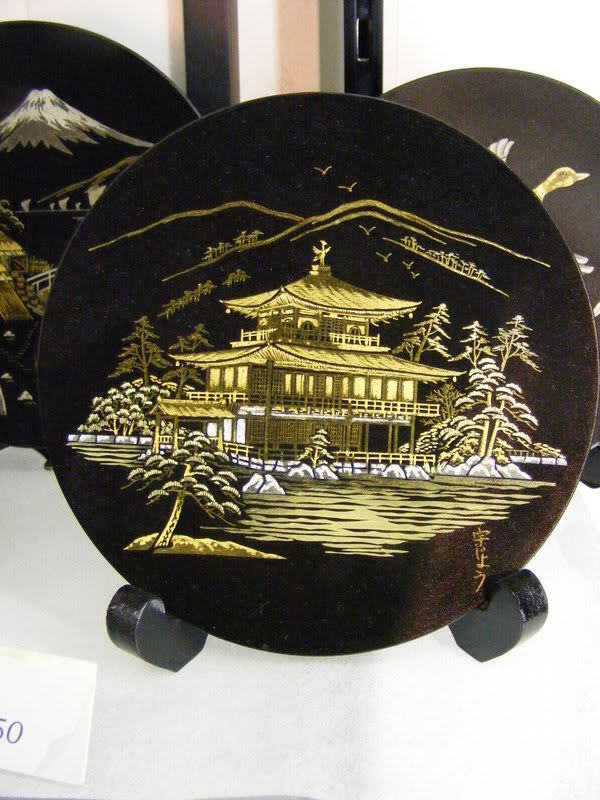 Any other place you have visit for seeing the oriental engraving stuff? I may go to Kyoto there next year. Today (Sept 14) they have a festival at From 18:00 Hirano-jinja Shrine, about 800 lanterns will be lit and a wide range of traditional entertainments (noh poetry reading dance etc.) will be performed. Enjoy your trip and look forwards to see more of your photos. The rock and turtle looks like it would be good on a knife handle. The raised bodies would give it a real textural feel (yes they would need filled with resin to prevent crushing) but that would be a whole new world! how about raised veins with flowers that rose and fell below the surface! Wow, can't hardly wait to you make one and show us. Guys,I am glad you enjoy these pics. Zern, thanks for the info about the shrine, I did not see it, but sounds very interesting. Perhaps I can get to the riverside restaurant and I would like to try the dancing women also＾＾；. delighted to read your continuing thread on Japan! One of my favorite pieces in my collection is shown in the attached photos and must of course be from the tradition you are showing. Under the 30 power 'scope, the detail is fabulous, with silver, gold, and copper, and oh such delicate shadings in the tiger's stripes! However, this cigarette case appears to be stove-enameled with a durable black lacquer. How on earth is this procedure done, and the detail preserved? What is the order of approach, and will you be able to give us more insights? Last edited by rod; 09-19-2007 at 03:59 PM. New member here. 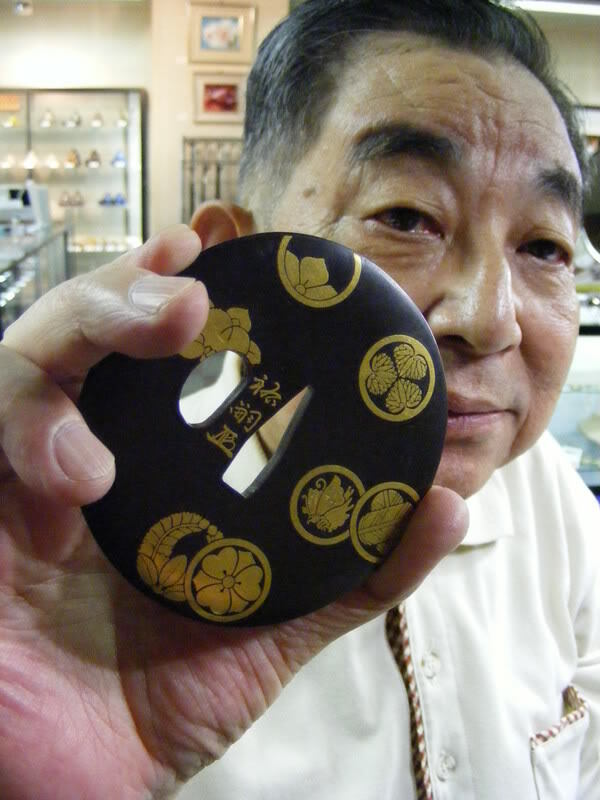 If you are interested in how traditional nunome zogan (damascene) work is done, here is one of several links that you can reference.Higo inlay. Go to Production for a step by step explanation. Is that stove enamelling, or is it rusted iron that has been boiled in green tea? Thanks for all the comments,nice stuff Ron. Good link Karl, and welcome. Mr Bond, the black is an enamel laquer which is applied after the background is etched and boiled in green tea.. The laquer is scraped from the gold with a burnisher and then the gold is polished with charcoal. I will see about putting together a tutorial eventually. Lacquered as well? Wow... The only bit of damascene I've got access to doesn't *seem* to be, but without digging at it I can't be sure. 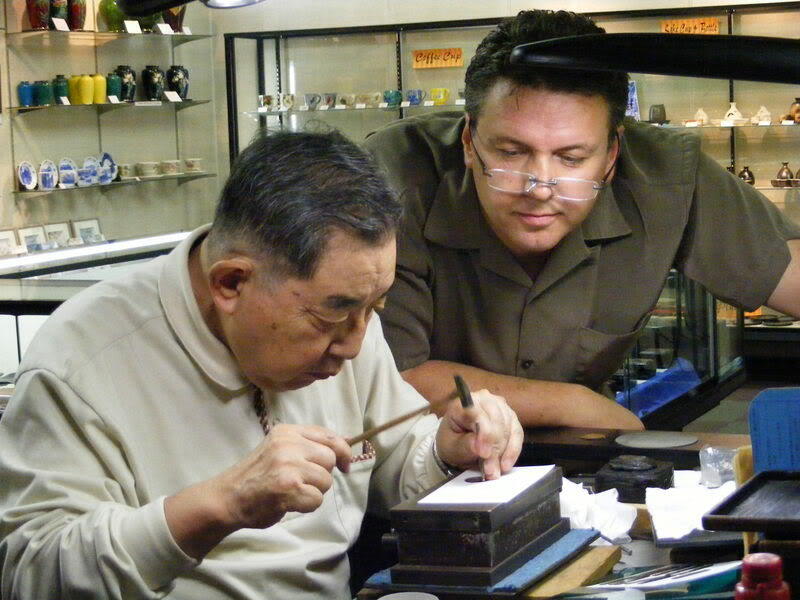 Urushi, or something less traditional? And is it colourless to seal the iron, or is a black used? 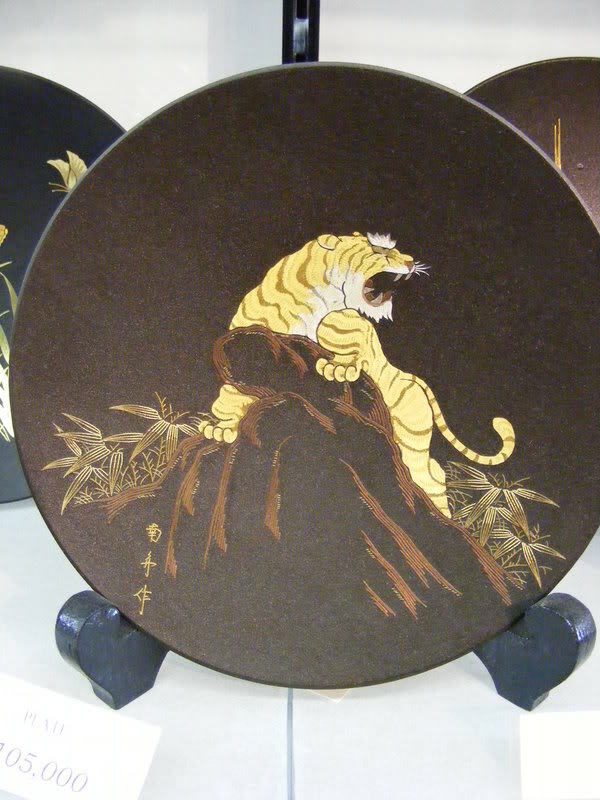 Black lacquer, I do not have the japanese name. I think Brownells black gloss baking lacquer would be fine. Thank you for this prompt posting, letting us study this excellent webpage showing a step by step description of the "Higo inlay" process! You have increased my admiration of this technique! Always happy to share knowledge. I've been learning a lot about Japanese techniques lately on another forum. I've been told that enameler's suppliers also carry foil. 1) The Design and Creation of Jewelry by Robert von Neumann. 2) Silverwork and Jewellery by H. Wilson and Unno Bisei. Make sure to look for a recent copy of the first one and an edited copy of the second. p.s. 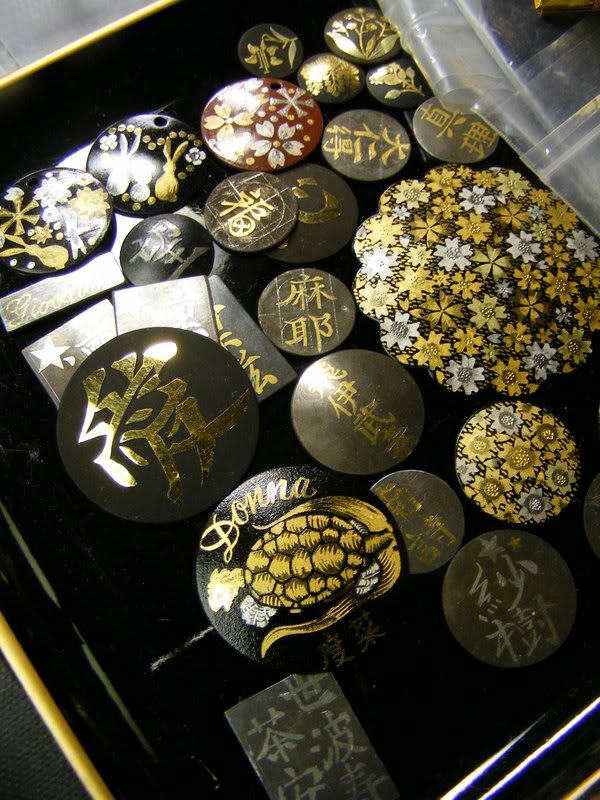 - That black urushi might be roiro - a very high quality laquer used as a ground. Last edited by Karl Carvalho; 09-19-2007 at 01:17 AM. Karl - I thought that the use of 0.08mm was peculier to that particular region? Can't provide a reference, sorry - may be from Untracht? Apologies for posting exactly the same link as you - clearly I wasn't paying enough attention! Barry, you are one amazing dude! I really appreciate all of your education on this beautiful art we all share! Please keep up the great work! No worries mate. The link function here is a little different from TCP, so I entered the name manually. I'm no expert on this technique; just know that there are differences. BTW - do you remember where Berlin Karl put up that short video link on an artist working this technique. Anybody interested in seeing that posted? Sorry, don't mean to hijack your thread. I, for one, would be very interested in any tutorial that you posted on this technique. 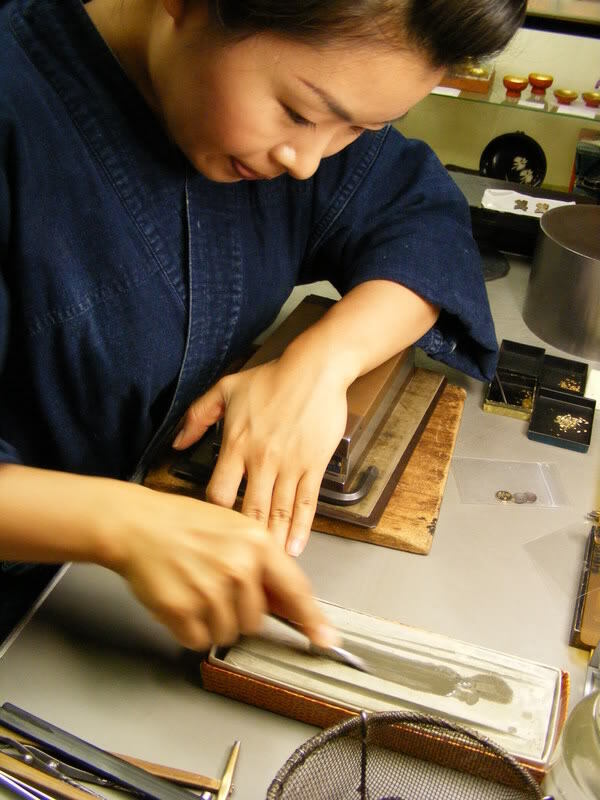 Let me show you some of my work made in this traditional Japanese way.